You probably already know this, but if you’re an agent and you’re not using social media effectively, you’re losing business. The most recent NAR statistics show that 77 percent of REALTORS® use social media for their real estate business—but, many agents struggle to make time for social media, and their effort is often wasted because they don’t have the know-how or strategies in place to maximize what they’re posting. If you’re going to spend time on social media (and you should), you should get the most out of your efforts. 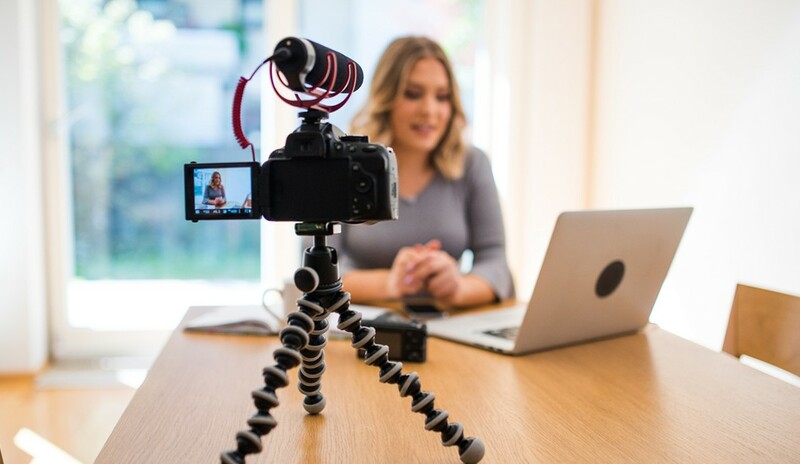 TL;DR (too long; didn’t read) version of this article: Incorporating live video into your social media strategy is one of the most effective ways to boost your online presence and increase the efficiency of your social channels. Here’s why. It’s the kind of content people want. We’re not in the dial-up era anymore. With the explosive growth of mobile usage and the increase of download speeds, technology has advanced so rapidly that consumers can now stream content effortlessly. This growth has led to an increase in your potential and current customers’ expectations of what they should see online and on your social media profiles. The research company Zenith released a study this year that predicted in 2019, people will consume more content online than on television for the first time ever. Studies show that consumers want more video content. A whopping 85 percent of customers said they wanted to see more video content from the brands they liked in 2018. The same study showed that video impacted a consumer’s decision to use a service 81 percent of the time. This means, your potential seller wants video content from you, which will likely effectively influence their decision on which agent to use. Additionally, live video converts more people than traditional video. Not only does live video create more engagement (conservative studies show a minimum of double the engagement rate), but also, people watch live video more than three times longer than video that is no longer live. Bottom line: people want live video. Give people what they want. Not all agents are taking advantage of live video in their social media marketing. I often hear, “I don’t like the way I look on video. I hate the sound of my voice. I don’t want to be on camera. I don’t have anything interesting to say.” I want to challenge these common vulnerabilities that get in the way of agents being on camera. People are “following you” because they want to hear what you have to say—and, I hate to break it to you, but how you look on camera is how you actually look. Get over your fears and get in front of the camera. The only way to get good at doing live video is to be bad at it and grow from there. Don’t feel like your live video can only be real estate-related. Share your interests and the things going on in your life. Look for ways to connect with your buyers and sellers. You have an active audience where people are willing and wanting to hear your opinion and expertise. Don’t disappoint them by not participating in the conversation. As you know, winning a new listing is becoming increasingly competitive. Most agents aren’t utilizing live video like they should, so I would recommend you take advantage of this opportunity to differentiate yourself. Here’s just one example of a live video strategy: Tell every single one of your customers that you’ll record a live video of their home. Whether it’s a home new to the market or an open house, broadcast a live video highlighting the property. These videos will create more visibility for your listings, which means more potential buyers will see them. This is something not only your current clients will love, but also potential clients looking for an agent will find value in. Facebook is still the most popular social media network, so it’s a great place to start going live. Whether you are using a personal profile or a business page, it is important to note some of the recent changes Facebook has made that impact the reach of your posts. In February, Mark Zuckerberg made statements that the reach of Facebook business pages is going down significantly, which means the number of people seeing your content has dropped based on new algorithms. Facebook Live helps to combat this issue. When you go live on Facebook, it gives friends and followers a notification that you’re starting a live video. This reminds them of you and your brand—a struggle in an industry where 70 percent of consumers forget who their agent was after a year of their transaction. The great advantage of Facebook Live is that you’re producing content people can always refer back to on your business page or personal profile. Additionally, use the people you’re already working with to grow your sphere. Invite them to follow your page or profile, and encourage them to share the live video you broadcasted of their home. Facebook gives higher value to posts that incite comments and shares, so you’re not only increasing the value of your posts in Facebook’s eyes, but also being introduced to the seller’s sphere of influence, maximizing your visibility. It takes less time and is more authentic. Traditional video takes scripting and editing—it’s a lot of work. While traditional video is more polished, to create a high-quality video takes a lot of resources. Going live takes nothing but your smartphone! Anyone can go live. Authenticity is a key factor that drives millennial consumers and is one of the influencers that impacts their decisions the most. Live video content is extremely authentic because it’s here and now, and shows who you are as a business person. People will criticize an over-produced video, but have a lesser expectation of quality in live video because they understand the nature of broadcasting in real-time. Creating authentic, real content is most attractive to most audiences. It allows you to effectively showcase your expertise. Every agent profile says they’re an expert in something. Whether they say they’re a great buyer’s agent, will help you find your dream home or claim to know the market better than the rest, consumers still want proof that an agent actually knows what they’re talking about. They want to see that they really can deliver on their promises. If you are supposed to be an expert in understanding the market, there aren’t many better ways to prove your expertise than in a live video talking about market conditions in that area. Live video allows you to connect with your community in real-time. Real estate is a local, people-to-people business; relationships are important, and people want agents who understand them and the community. Posting a live video when you’re out meeting people in the neighborhood, and not just sitting behind a desk, allows you to merge technology and relationships together. As a brand, HomeSmart International is always trying to figure out how we can incorporate live video into our social presence. We go live with videos that showcase our trainings, company culture, milestones and accomplishments to share what life is like at one of the fastest-growing residential real estate companies in the nation. Follow us on Facebook and Instagram, and subscribe to The Real State podcast and HomeSmart blog to get some ideas on how to up your social game. Adam Bauer is the vice president of Digital Strategy at HomeSmart International. Bauer is responsible for maximizing HomeSmart’s digital footprint and guiding the strategic roadmap for HomeSmart’s online presence. For more information, please visit HomeSmart.com/join.